Note: This page is an account of Grace Wray’s life as it related to Preston, Herts. 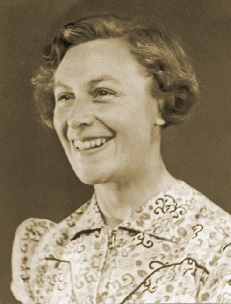 Grace Mills was born in Southsea, Portsmouth on 24 June 1912. She was the only daughter of school master, Charles Henry Mills and Edith (nee Dee) who was the eldest daughter of a councillor and business man from Stoke Newington. The couple had met while studying for their degrees at Hartley College, Southampton. 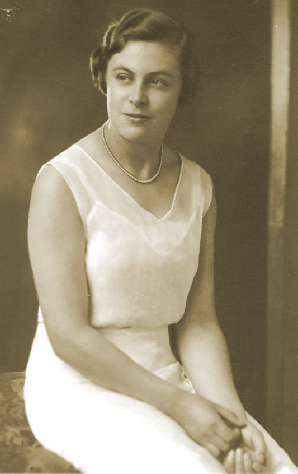 After she left school, Grace lived with her grandmother at Stoke Newington, London. She worked at ‘St Barts’ hospital. When she was 21, her life was blighted when she inherited her mother’s deafness. This affliction and World War conspired to bring about her move to Preston. World War II cast its shadow over Britain and like many Londoners, Grace slept on underground platforms during the blitz. As she later put it, ‘you see, the war came along and it meant that you had to do your bit. The forces wouldn’t take me as I jolly well couldn’t hear so the only other alternative was the Land Army’. 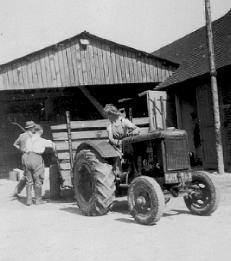 The Woman’s Land Army was formed during war-time because tens of thousands of country-men either enlisted or transferred to industry leaving a desperate need to keep the farms running and maintain the supply of food. It has been estimated that there were ninety thousand Land Girls. When the world was turned on its head, they learnt the equality which was thrust upon them. Farmers tested them by assigning them routine, menial and back-breaking jobs such as muck-spreading, sowing potatoes, cutting thistles before the harvest and topping and tailing turnips. Working in the the chill of winter and the summer’s heat, they battled against mud or dust all year round. The main challenge was keeping their femininity -despite corns on their hands, muscular arms and weather-beaten faces. They were issued with a uniform (often the wrong size) which was alien to wear at first: breeches, shirt and tie, long woollen socks and heavy brogue shoes. In some ways the clothes were a blessing in those days of austerity and dwindling wardrobes. Many found the biggest hurdles were the stench of the farmyard and how to take a natural break when working in the fields during winter-time: searching for a sheltered spot far away from interested, masculine eyes and then peeling off several layers of clothes. Above, the Land Girls at Minsden Farm, Preston. Grace is standing far left. 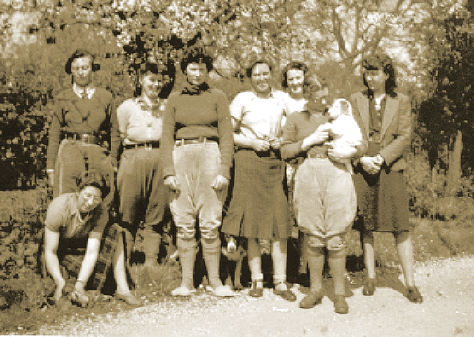 Even getting along with one’s work mates could be challenging as Land Girls were plucked from all walks of life - Grace remembered that there was a talented artist in her group. Yet after dwelling on the obstacles, many women have fond memories of their life on the farm: the fresh air, reasonable food (even in wartime), the camaraderie and the local attractions which included....men! Enter Sam Wray, farm labourer, stage right. Grace and Sam married in Portsmouth on 17 March 1945. Grace commented later, ‘Mum and Dad were very much against my marrying Sam, of course’. Bearing in mind that she was thirty-three, deaf and distinctly ‘on the shelf’ perhaps there was an element of desperation in her decision. In what was possibly an abortive attempt to elevate himself in the eyes of his wife’s family, Sam described himself as a ‘farmer’ when he married. The birth of their two children was the catalyst for the family to cut their Hertfordshire ties and move to Portsmouth. After she left Preston for the final time in 1949, Grace never returned to the village.